Why go? 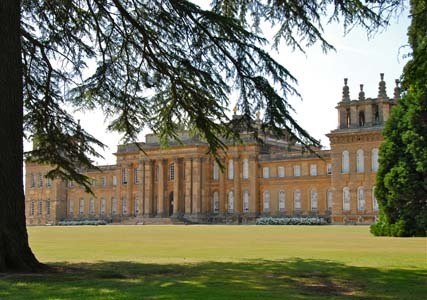 To stay in a friendly, four-star country town hotel steps away from Blenheim Palace, an astonishing aristocratic residence and World Heritage site built for the Duke of Marlborough in the early 18th century. The look: The Feathers sits in the heart of this pretty, touristy town eight miles northwest of Oxford. It is formed from a jumble of former shops and cottages and has 16 bedrooms and five suites arranged like a walk-in puzzle. The interiors are a welcoming mix of dark antique furniture and colourful modern touches including boldly-patterned armchairs and mohair throws in hot pink. The Cotswold category is a good choice, or a bag a deluxe suite such as number 4, which sits at the top of the building with a large sleigh bed. I’m hungry… The main restaurant is a run of small, snug, wood-panelled rooms with low, beamed ceilings and candlelit tables. 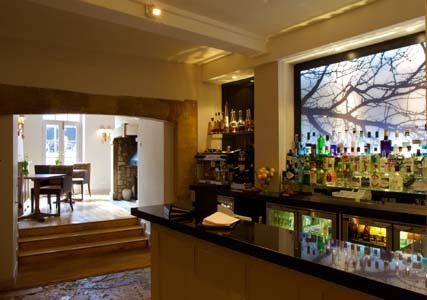 Its à la carte menu works well whether you just want a glass of wine (from £4) and a starter, or fancy a five-course tasting journey (£55 or £100 with paired wines), which is full of delights but not overwhelming. Highlights include duck with tea, pineapple and pain d’épices, and scallops with maple syrup, chestnut and quince. Breakfast is served till 10.30am and well executed− go for the whopping ‘Churchill’s Breakfast’ fry-up and you’ll be set up for the day. While you’re there… Walk up Park Street to the entrance of Blenheim Palace (blenheimpalace.com). Admission is £4 to stroll around the splendid 2,100-acre grounds landscaped by ‘Capability’ Brown and it’s well worth crossing the grass for a close look at the towering Column of Victory. The Palace buildings and family attractions are open from 9 February and there’s an upmarket café, deli and gift shop. A short drive away, Bicester Village (bicestervillage.com) has over 130 top-name boutiques selling discounted luxury items − there are genuine bargains to be had and the atmosphere is not as frenzied as you might think. Before you go pick up a free VIP Discount Card from The Feathers reception which offers up to 10% off non-sale items. Dress code: Country casual − think long cardies, leopard prints, ankle boots, plus all those Bicester bargains. Reception staff wear smart black dresses with a pink scarf. 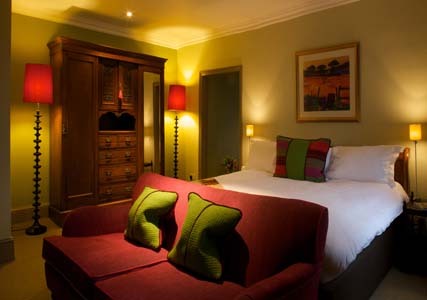 Book now: The Feathers, Market St, Woodstock, Oxfordshire, OX21 1SX (0800 089 3929; prideofbritainhotels.com). Until 28 February a ‘Winter Break’ package for two staying in a Cotswold room from Sunday to Friday costs from £198 including full English breakfast, three-course dinner and Bicester Village VIP Discount Card. Wifi is complimentary. There is no charge for parking, a taxi from Longhamborough rail station takes around 10 minutes and costs £11. Info: Slow Cotswolds (£14.99; Bradt) is a handy guide or see woodstock-oxfordshire.co.uk.